Germany goes to the polls on the 24th of September in national elections that will return a new Parliament and decide whether Angela Merkel remains chancellor for a fourth consecutive time. The campaign offers new opportunities to add to the understanding of how male and female representatives prioritize styles of communication and how their strategies affect how influential they are. Merkel’s unshowy leadership style stands out against all the pose and swagger of masculine leaders such as Putin, Trump or Erdogan. This past year, her poise and “no nonsense” flair made her earn the title of “the leader of the free world”. What is more, she has been considered the “most powerful woman” in the world by Forbes magazine in 2016 for the ninth time in eleven years, as she assumed a key leadership position of mediator during the European economic crisis. Nonetheless, previous research has had a hard time in understanding female leadership under Merkel, as she does not quite seem to conform to the pattern of behaviour of women in politics described in the studies above. It might be of course impossible neither to identify a single ‘female chief executive style’ nor to a priori identify a set of ‘female’ policy positions. It might also be that proportional electoral systems present unique rhetorical challenges for women running for office different from plurality systems. What is clear, nevertheless, is that the kind of challenges that female leaders in TV series have to deal with, are not far-fetched. First, as Selina, Angela Merkel does not want to identify as feminist and she has always tried to avoid in her discourses to being identified as such. 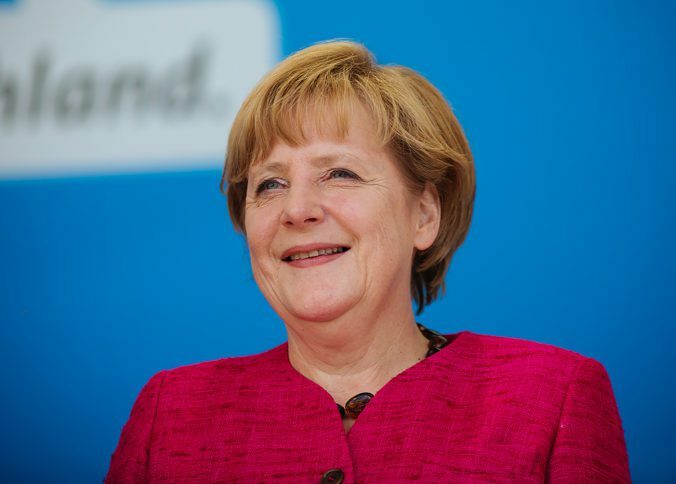 Last April, Angela Merkel attended the W20 Women’s Summit in Berlin. She sat in a panel with Ivanka Trump and Christine Lagarde. At one point in the discussion, the moderator asked the panellists to raise their hands if they are feminists. Trump’s hand remarkably went up, and she confirmed that she considers herself a feminist: “I think of that as believing in the social, political and economic equality for all genders”. In contrast, Angela Merkel did not raise her hand and took her time to explain that: “The history of feminism is one where there are similarities with me and then there are differences. I would not like to decorate myself with a label I don’t actually have.” Merkel is often reluctant to support women’s rights. However, in 2015 her government has pushed measures to improve childcare, help female run start-ups and force companies to set targets to get more women in the boardroom. What is more, on that same year Merkel earned the title of Mutti or Mother Merkel out of her unexpectedly liberal open-door policy towards refugees and migrants, which led to about 900,000 newcomers arriving in 2015. Second, as Claire Underwood, she is also in a childless marriage, which has sparked questions about her ability to govern, notably by the conservative party AfD female leader Frauke Petry. And third, just like Birgitte from Borgen, her fashion choices are under public scrutiny. During all these past years, Merkel’s fashion study has been as unshowy as her discourse. She always uses trousers and blazer, with some colour variations. Yet, I bet everybody remembers the fuss caused almost ten years ago when Merkel wore a dress gown for an opera night. The press just went wild. But all this also brings us back to a deeper issue: gender concerns are largely unrecognised and barely addressed in German politics and none of the two big parties, the SPD or the CDU, to which Merkel belongs, is talking about gender in the national campaign. It seems as if gender equality was something from the past, so much from the past that the most powerful woman in the world is still reluctant to emphasize her femininity.